This magnificent necklace features Assorted Beads flat apple jade beads apple jade nugget chips. apple jade round beads.fancy glass beads.millefiorri beads.mirano beads.and tiny glass beads. long Necklaces. A cluster of iridescent semi precious assorted beads Long single Necklace can wear double or three strands necklace as per dresses & would look pretty with many of dresses. Celebrate your individuality. 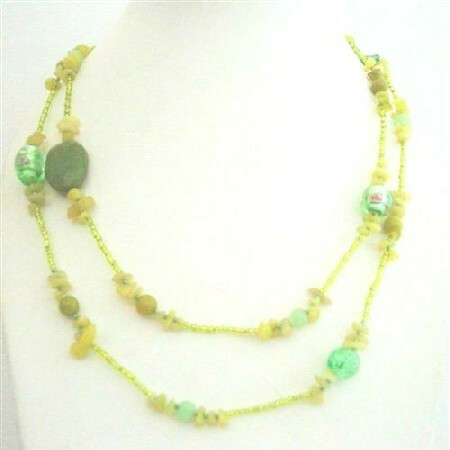 Variations in the color & pattern beads add the beauty to the necklace.